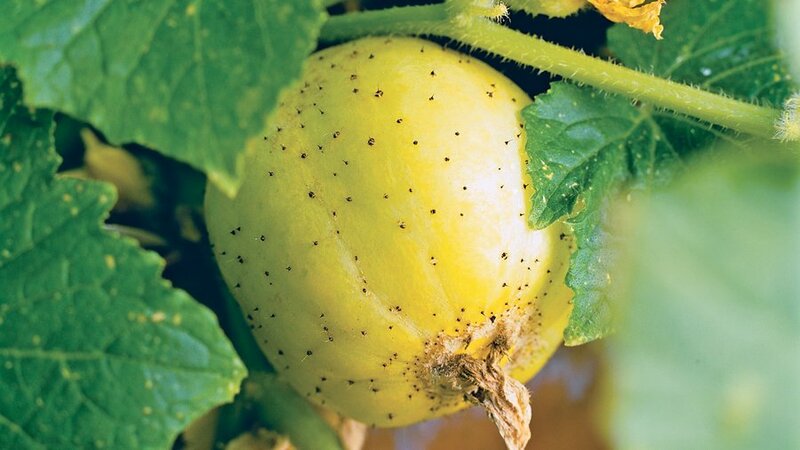 Although debate rages on the exact definition, an heirloom is—it’s generally agreed—an open-pollinated variety of fruit or vegetable developed before mass commer­cial hybridization began in the 1950s. As such, its seeds grow true: The offspring look and taste just like their parents. Handed down from generation to generation, heirlooms have tended to be selected for flavor, not how well they survive shipping or how perfect they look. That’s why ‘Brandywine’ tomatoes are so sweet and juicy, lemon cucumbers so zesty and crunchy, and ‘Red Kuri’ winter squash so creamy and nutty-flavored. 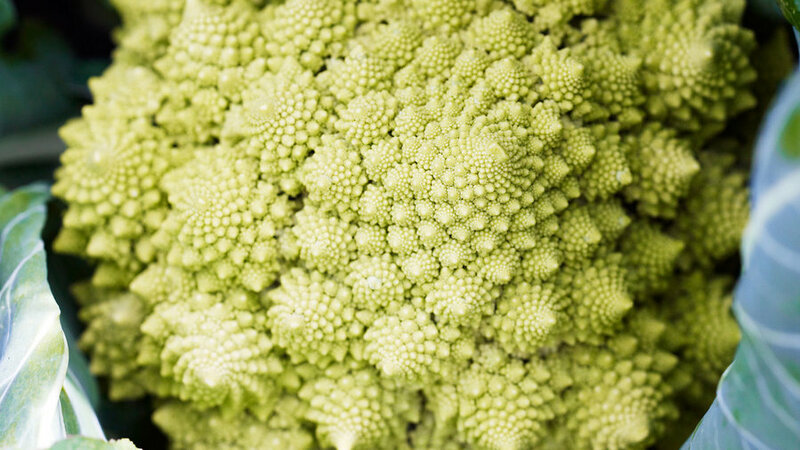 And even if they’re not the classic, flawlessly symmetrical specimens we’re used to seeing in grocery stores, they’re gorgeous in their own fascinating, idiosyncratic ways. Eat it like an apple or use it to garnish cold drinks. It’s crisp and refreshing, without any bitterness. 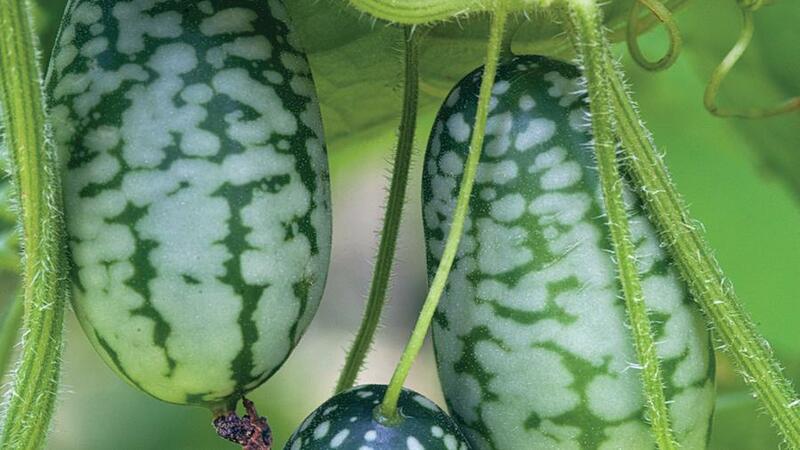 The fruit looks like a baby watermelon, but its flesh is crunchy like a cucumber. 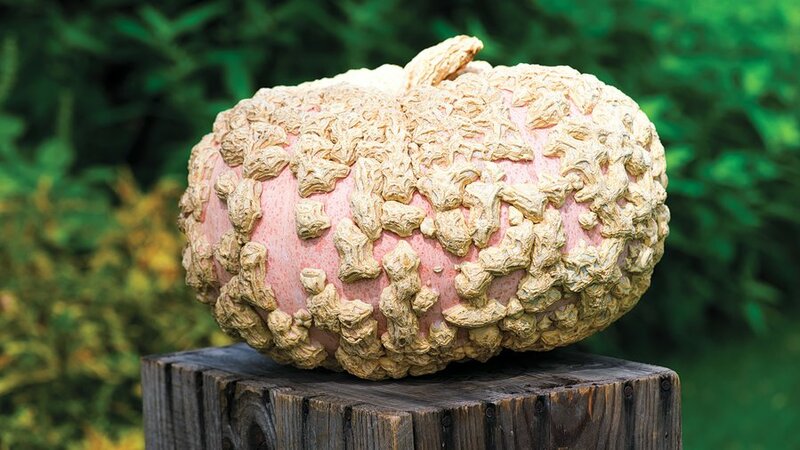 This French heirloom’s knotty, textured exterior is like brocade on salmon-colored silk. Its pleated shape resembles a satin evening clutch. 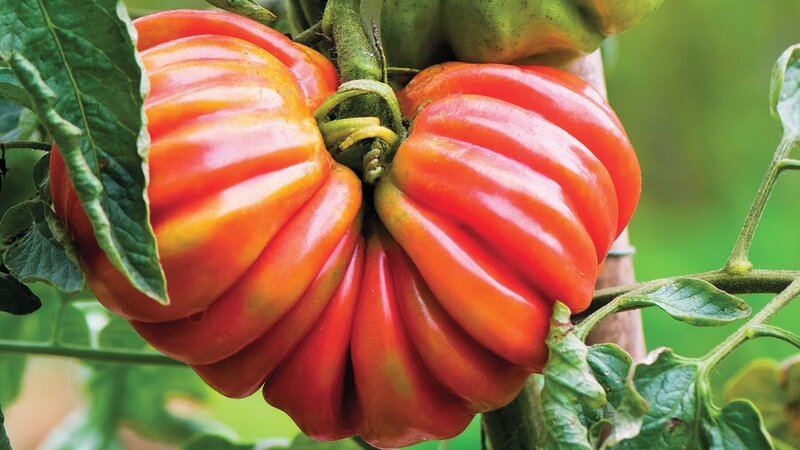 A great tomato to stuff. 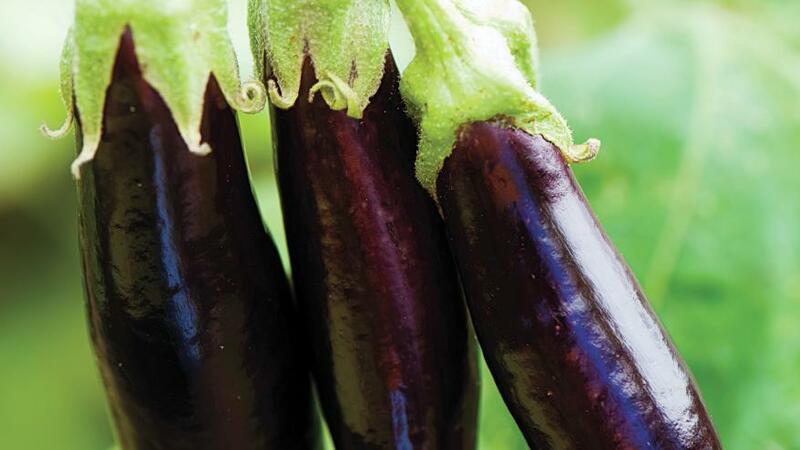 Three or four eggplant grow on every stem. Feathery edges on the pods make these beans look as if they’ll fly away. 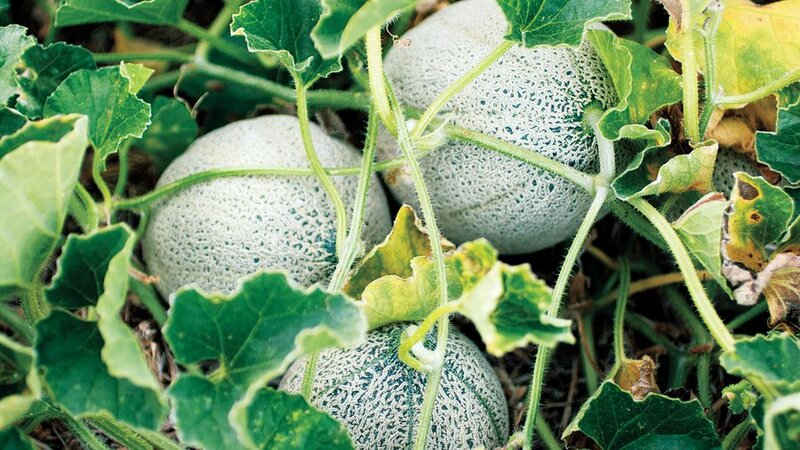 A compact melon with sweet flavor. 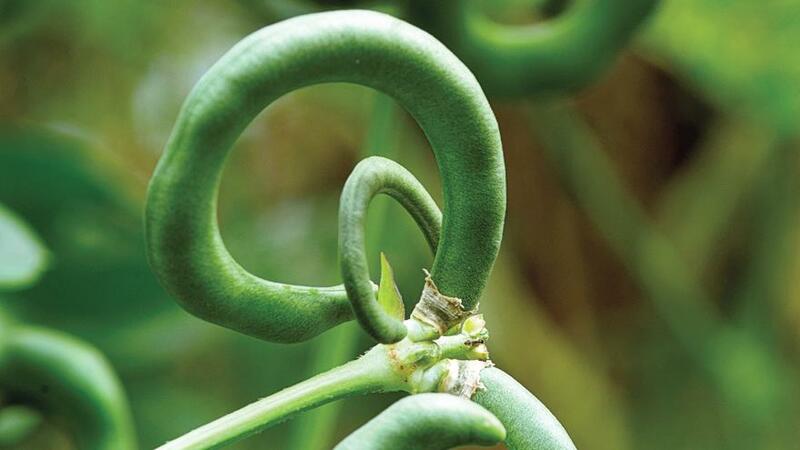 The plant is vigorous, and the pods twist like ram’s horns. Its thin skin turns creamy and soft when cooked, especially in stir-fries. Or slice and sauté it for sandwiches. Find vibrant golden yellow to orange flesh beneath that gray-green exterior. 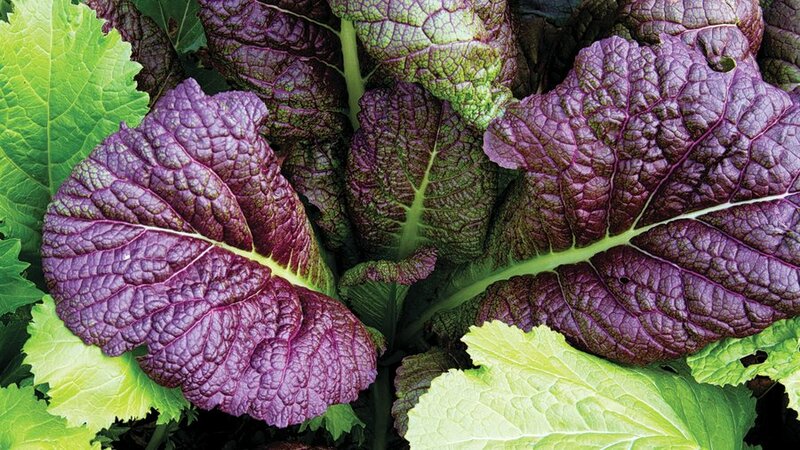 Deep red leaves on this romaine-type head are crisp, juicy, and delicious. Striking in salads. Each slice reveals a bull’s-eye pattern. 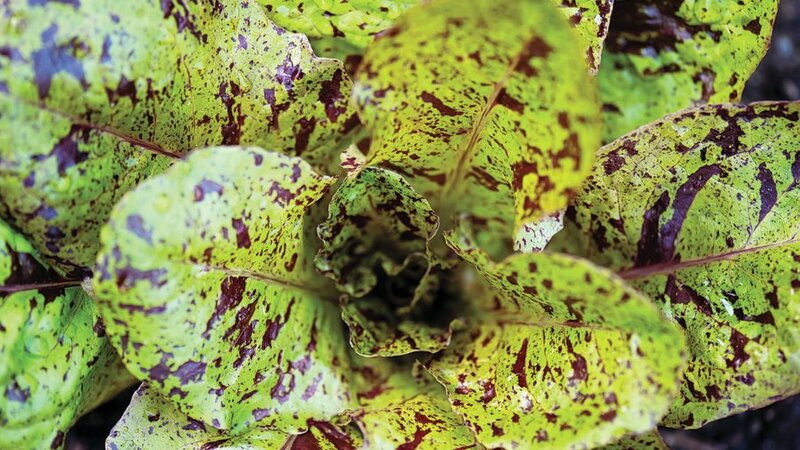 The red speckles turn darker and darker as temperatures drop and sunlight increases. Its chartreuse florets look otherworldly. Slice it raw to drop into salads. 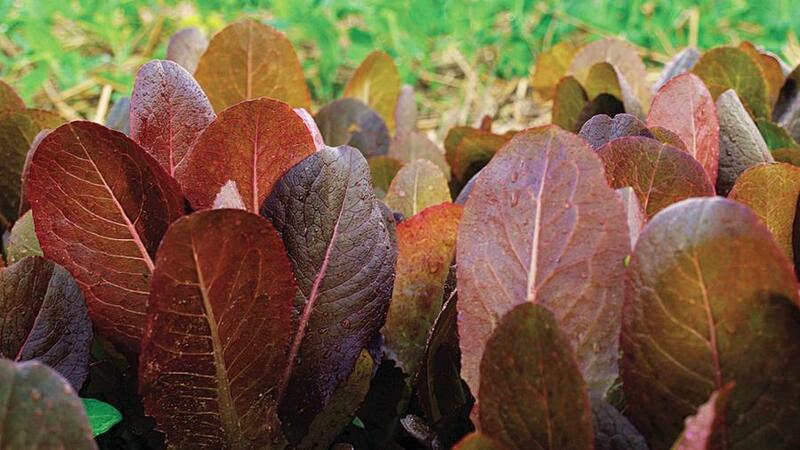 Let the spicy purple-red leaves grow large, then use them in stir-fries or in soup. 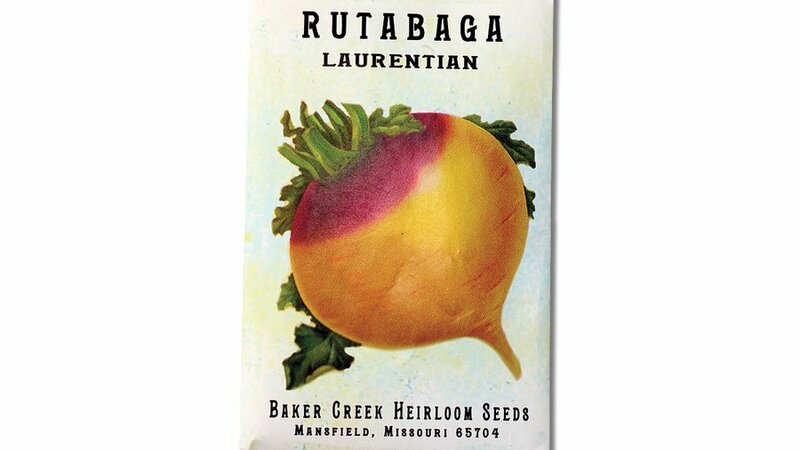 This variety becomes super sweet if grown through a cold snap. 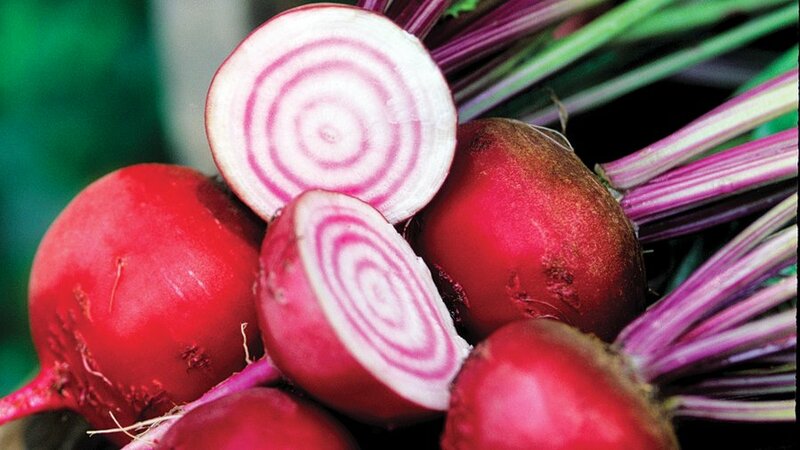 Dramatic pink and white coloring meets mild flavor. 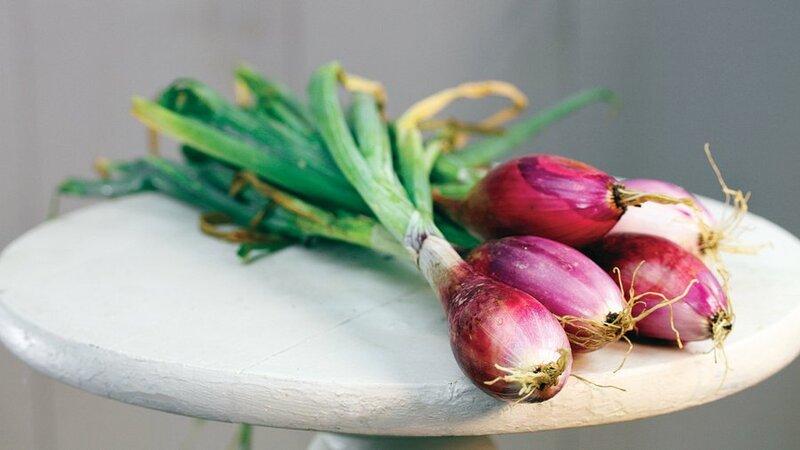 This oblong Italian heritage onion tastes sweet and mild. 1. Start with healthy soil. We mix chicken and duck litter into the soil before planting time. We also mulch heavily with straw each year; as it breaks down, it adds more organic matter to the soil. 2. Choose the right varieties for your area. 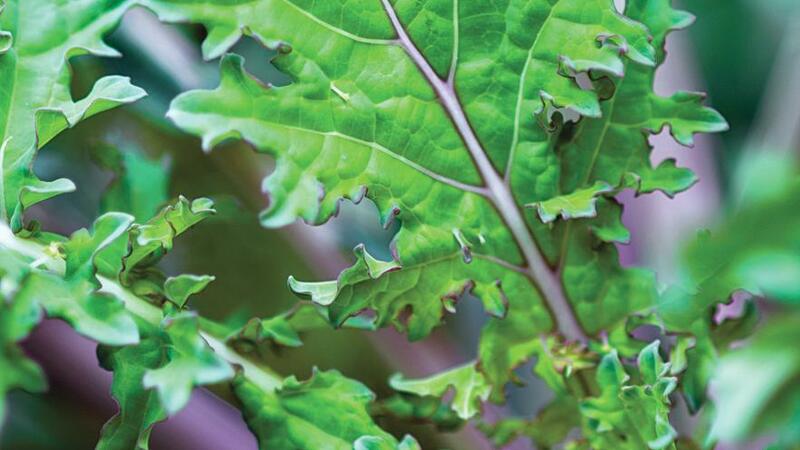 Look for crops that were developed in a similar climate. 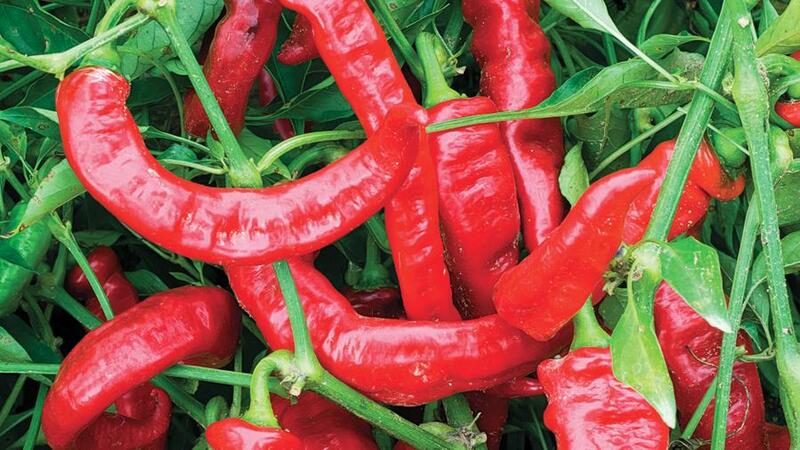 If you live in California’s Central Valley, seek out varieties developed in places with really hot summers, like Texas or Thailand. 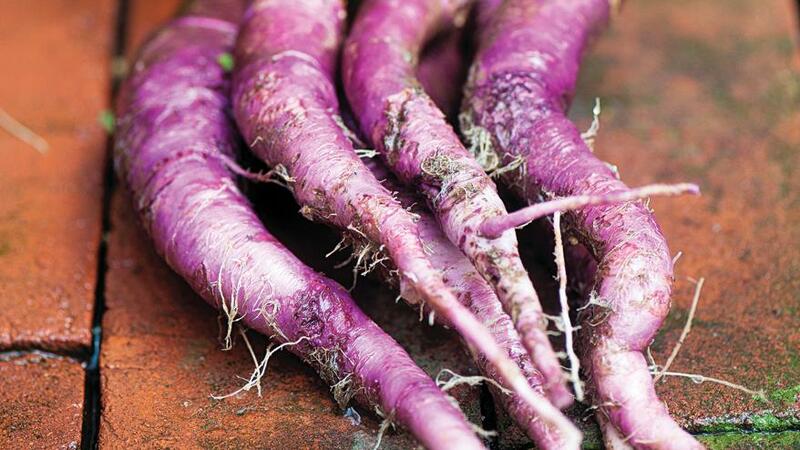 On the coast, try varieties from places with shorter growing seasons, like Norway or northern Japan. 3. Give plants the space they need. 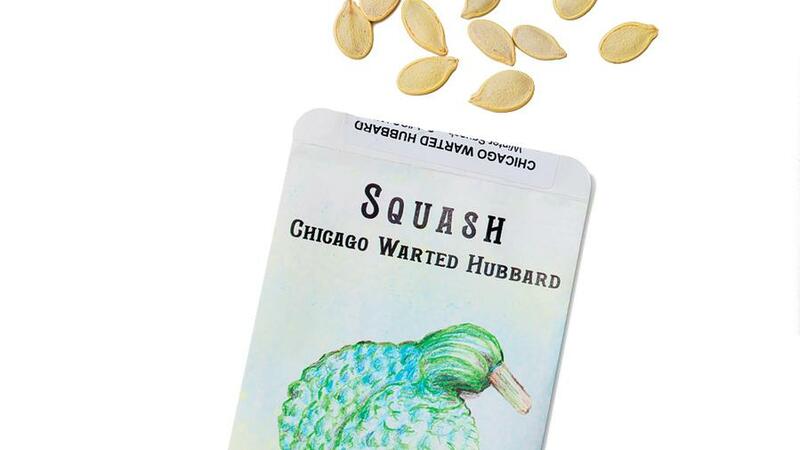 If you want to save seeds to plant next year, give the crops enough room this year so that they won’t cross-pollinate. 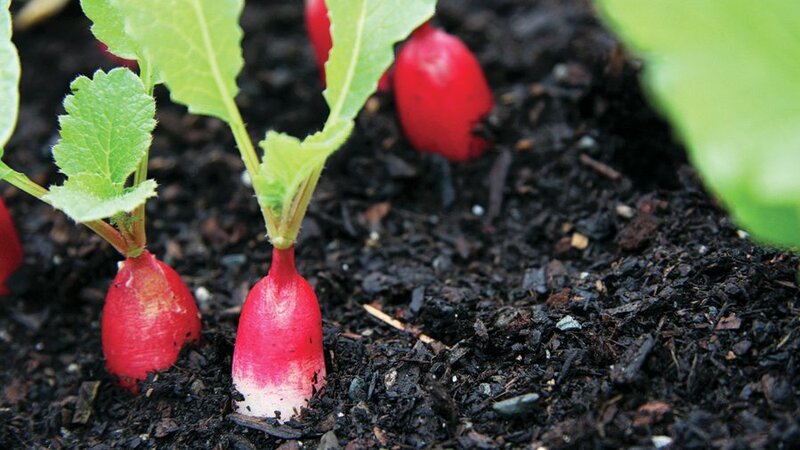 Otherwise, the seed they produce might result in crops next year that look or taste different from the parents. 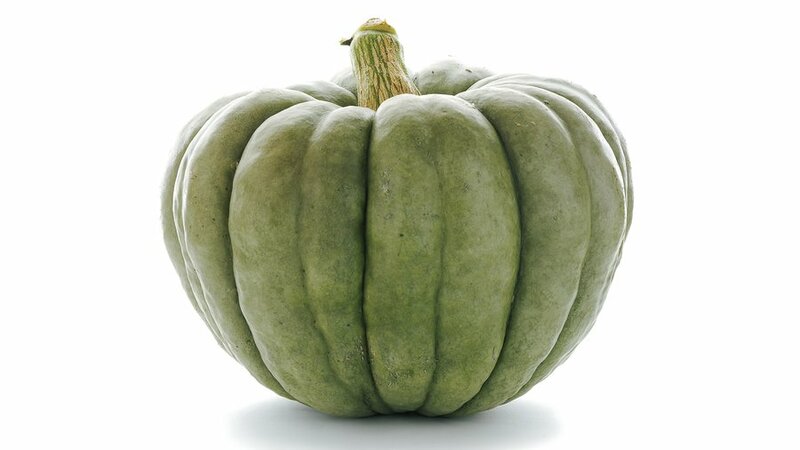 This is especially true for members of the melon, squash, and cucumber family. 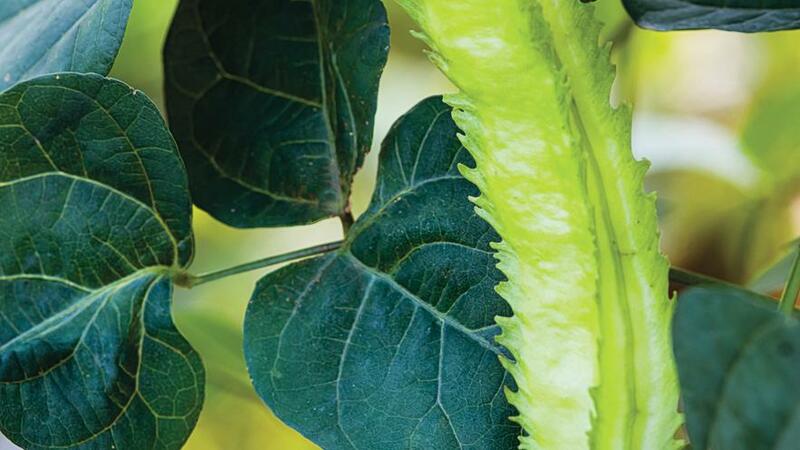 If your space is small, grow just one variety per year so that cross-pollination can’t happen.